BIG BREAKING- Cabinet Approves Citizenship Amendment Bill In Parliament, protest continue all over Assam . The Cabinet has approved Citizenship Amendment Bill (2016) in the Lok Sabha on January 7. The bill now grants Indian citizenship by naturalisation to communities such as Hindus, Buddhists, Christians, Jains, Parsis and Sikhs, fleeing persecution in Afghanistan, Bangladesh and Pakistan. Citizenship would be granted to those who have lived in India for six or more years. The government had argued that the bill is intended to those ‘escaping persecution’ and not for economic migrants. 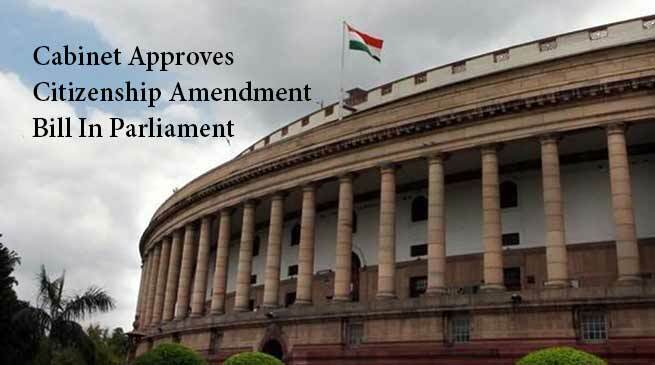 The Congress, TMC, CPI(M) and a few other parties were steadfastly opposing the bill claiming citizenship cannot be given on basis of religion, as India is secular. Citizenship(Amendment) Bill 2016 is a matter of concern to the people of Assam & North East. abiding by agreement made with ASSU long back. the people of Assam & NE states. It should be a concern for everyone , all over India. 2) Some people argue that this bill violates Article 14 of the Constitution of India which guarantees right to equality. constitution of india until they are awarded citizenship.